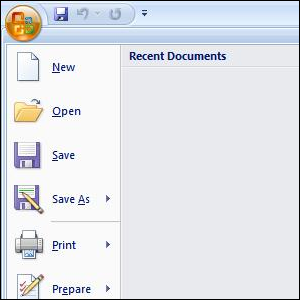 The Floppy Disk Icon As A Save Button On Modern Software Is An Example Of A Design Element Called A? The Most Popular Laserdisc-Based Video Game Was? There’s a design element you have likely come into contact with dozens of times a day and never even realized that it was a design concept in the first place: skeuomorphism. It’s an odd mouthful of a word that’s present around us every day. A skeuomorph is an element of a design—it can be physical or within software—wherein the present design retains ornamental elements of an original thing that is no longer relevant or functional, but is preserved for aesthetic purposes or to communicate something to the user of the object or software. The example in today’s trivia question, the floppy disk icon as a save button in modern software, is an example of this kind of design. Floppy disks have fallen out of favor as a means of saving data and the vast majority of people who click the little floppy disk icon today are not saving their files to one, yet the floppy disk persists as a graphical user interface shorthand for “save”—even if the person clicking it is too young to even remember floppy disks. Other examples of this kind of design include crafting an electric kettle to look like a traditional kettle (even though it won’t be sitting on a stove top) or a digital combination pad on a safe to have a circular appearance even though it won’t be spun around like an old manual dial lock. Software, in particular, is loaded with these kinds of design choices. The icon for a note-taking app might look like a little notepad, for example, or a calendar interface in an application might have a spiral binding along the top of the GUI even though the user never actually flips the virtual interface over like they would flip a real calendar.